Sciblogs | Why are we gifting so much to farmers? 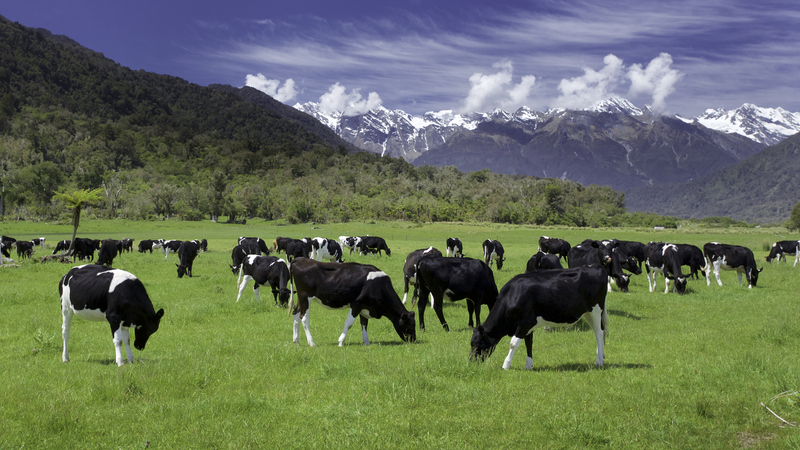 Despite announcing yesterday a plan that aims to eradicate Mycoplasma bovis from New Zealand, there was no sign of the pro-active release of any background papers or analysis. We don’t have copies of the relevant Cabinet papers, or the relevant advice from The Treasury or MPI. Not that long ago, the incoming government talked of its commitment to open government, and now it plans to spend hundreds of millions of dollars of taxpayers’ money – without, it appears, any additional legislation – without giving us, up front, any of the relevant papers. We don’t know how any of these numbers are calculated. I’m not sure what the average price of cattle is, but even if it is $1500, compensation for the cull of 150,000 cattle is a long way short of $870 million. We also don’t know what reasonable probability to assign to the success of the eradication strategy. That matters, a lot. But what we can deduce is that given the choice between long-term management and eradication, the costs of the former would be borne by the industry (farmers), while two-thirds of the cost of the eradication strategy is to be borne by taxpayers generally. As there appear to be no foreign trade issues (and even if they were, they would be costs to the industry) or food safety issues, it isn’t clear why taxpayers’ should be expected to meet any material proportion of the costs, when all the benefits will accrue to industry themselves. It has the feel of the classic line about people being keen, when they can, to socialise losses and capitalise gains. I’m not unsympathetic to individual farmers (there are quite a few past or present dairy and beef farmers in my wider family) but why isn’t this just an industry issue, in which if the industry regard eradication as the appropriate option that strategy is funded by an appropriate levy collected, say, per head of cattle? Most of the cattle aren’t any longer in small-scale operations (even the average dairy herd size is now 400). Between the stock and the land ($40,000 a hectare, median farm perhaps 100 hectares) and the milking equipment, a typical dairy farm isn’t a small business and the typical owner isn’t poor by any means. An increasing share of the cattle is in very large business operations. Perhaps there is a stronger wider public policy case to be made for this intervention? But if so, it hasn’t been made to the public so far. Instead, they are just taking our money and giving it to the farmers, to directly benefit their own industry bottom lines. Part of the justification, for compensation at least, is that its a taking. If the government takes your property, even for a good reason, it still has to compensate you. Over and above that, why the taxpayer is paying is not clear. Indeed. My only issue is with the “who pays” question. If some farmers lose their stock for the wider good, it seems only right that those others who benefit should pay. Oh wow, how did I only stumble upon these blogs now? Michael’s comment made me laugh. Very good sense of humour, and fairly honest assessment obviously. I’ve been looking into the way in which MPI operates fairly meticulously for the last 2+ years, and would love to add some suggestions. You probably already know a bunch of what I’d like to share, but in case there’s anything of value in there I’d like to share it regardless. IMO this is just the tip of a very large iceberg. Just wait til people realize what’s going on in NZ’s pig farms. Read the most recent NAWAC/MPI reports, if any party should produce a glowing assessment of industry it is those two (or ‘that one’ really). Before we delve into the topic about the contribution to infectious disease, antibiotic resistant infectious disease, at at that, on NZ pig farms. Can we take a brief look at MPI’s report, which states that industry not only disagree with the Codes of Welfare, but that they collectively refuse to comply with those very codes. It’s a real spit in the face to see a link at the top of the MPI page titled “See the work MPI does to improve the welfare of animals in New Zealand”. Considering they actually spend the majority of their time doing precisely the opposite, and demonstrably so. Never mind consulting articles such as this one, either, but the animal agriculture industry sure is a bane. “Antibiotics are used more heavily in farm animals than in people. This may be the largest source of antibiotic-resistant bacteria. Shame on Lincoln University for the role it plays in doing exactly what is described here. And shame on MPI for knowing all about it and failing to do anything at all to address the issue .